the avengers. My gallery is copyright CROvalentina©2012. All rights are reserved.My artwork (photomanipulations/wallpapers/banners etc) may not be reproduced, edited, copied, tubed, published, transmitted atau uploaded in any way without my permission. 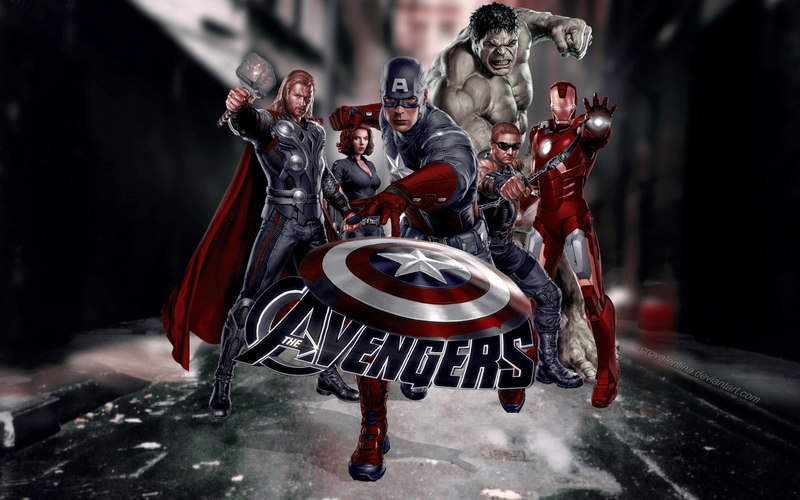 HD Wallpaper and background images in the the avengers club tagged: the avengers avengers iron man captain america hulk hawkeye black widow. This the avengers wallpaper might contain jejak kuda, horse trail, lintasan kuda, lippizan, lipizzan, lippizaner, lipizza, jalan, pemandangan kota, perkotaan, kota adegan, and perkotaan pengaturan.